Alright, so I know I wrote about the best Valentine’s Day happenings in NYC last week, but I couldn’t resist highlighting one more event that I stumbled upon recently. It’s called “Missed Connections,” and it’s a lighthearted, multifaceted love-centric event, taking place at the New York Transit Museum. The New York Transit Museum is one of the city’s leading cultural institutions, and the largest museum devoted to urban transportation in the entire United States. The Transit Museum is housed, quite fittingly, in a historic, decommissioned 1936 subway station in Brooklyn Heights, and has been in operation for more than 100 years. The 4th annual Missed Connections program promises to be a wonderful community event, and a creative way to commemorate everyone’s favorite Hallmark Holiday. Even if you don’t make it out for Missed Connections, the New York Transit Museum is a great place to see a side of the city that normally gets overlooked. The museum has been dedicated to showcasing the cultural and social impact of NYC’s famous subway system for years, and is an invaluable resource for those looking to get to know their city’s public transportation history in a more intimate way. 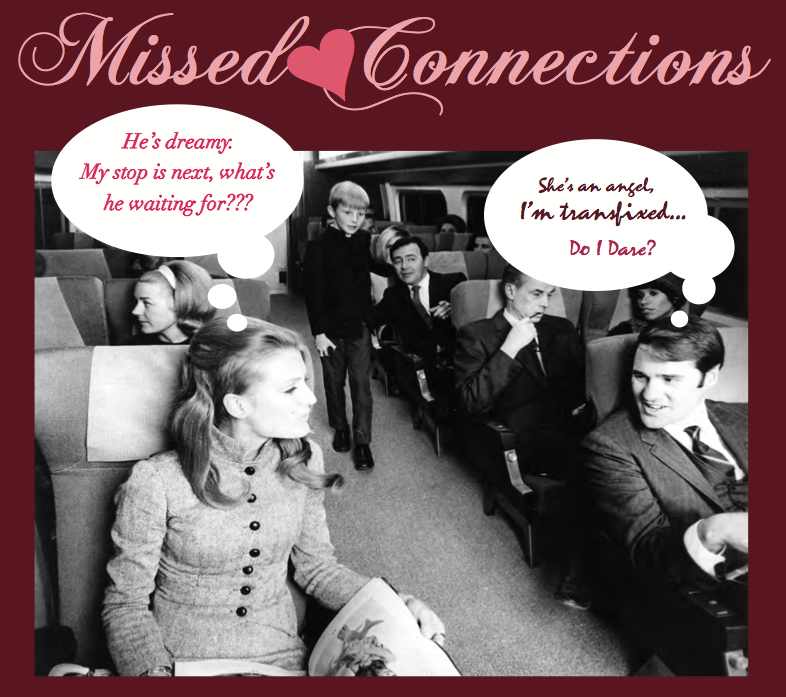 Missed Connections will take place on Friday, February 14th starting at 6:30. Tickets are $15 general admission and $10 for members. Learn more at the New York Transit Museum’s official website. This entry was posted in art, Brooklyn, NYC and tagged "missed connections" event, art, art show, Brooklyn museums, entertainment, New York Transit Museum, subway museum, valentine's day, valentine's day events NYC. Bookmark the permalink.